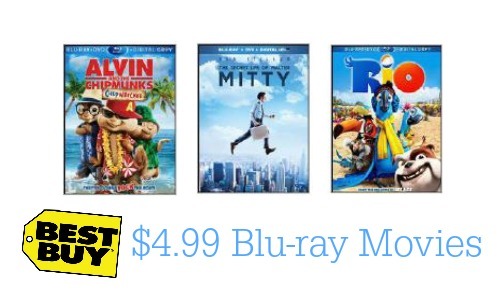 Stock up for family movie night with select Blu-ray movies for as low as $4.99 at Best Buy, regularly $17.99! There is a little something for everyone from Die Hard to We Bought A Zoo. This is a great way to save on some of your favorite titles, so be sure to check out all they have to offer. These can make great gifts, too! Offer valid for a limited time. Shipping starts at $2.99 or FREE on orders $35 or more.